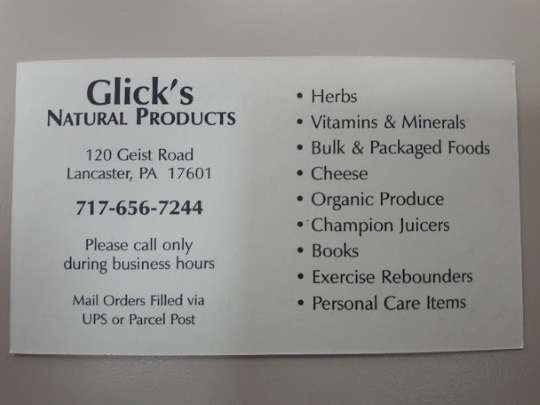 I’m in Lancaster County for several days, and dropped in this afternoon to Glick’s Natural Products. 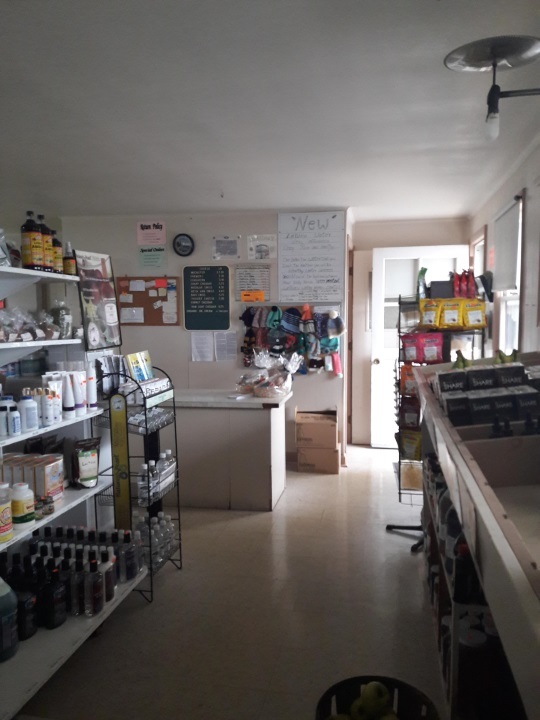 Glick’s is an Amish-run food store specializing in – you guessed it – natural foods, remedies and other health-related items. This is a fully-stocked store which has been around for awhile. The people working here are friendly and helpful. 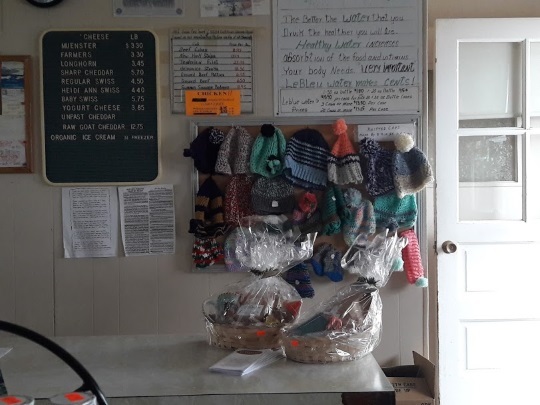 I was actually there as a driver taking some Amish friends to pick something up (I am on Amish taxi duty today 🙂 ) but took the opportunity to browse a bit myself. 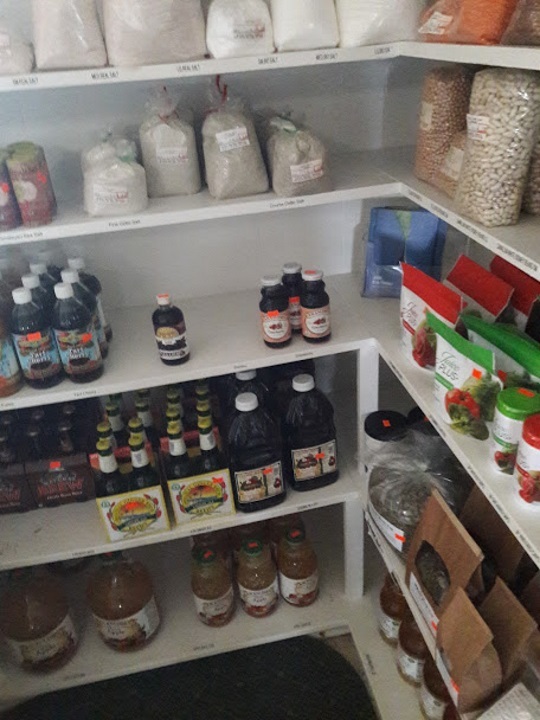 There are lots of bulk food items and supplements galore – healthy-sounding things like kelp capsules and echinacea. Since I have a soft spot for pancakes and waffles, what immediately caught my eye was the maple syrup section. 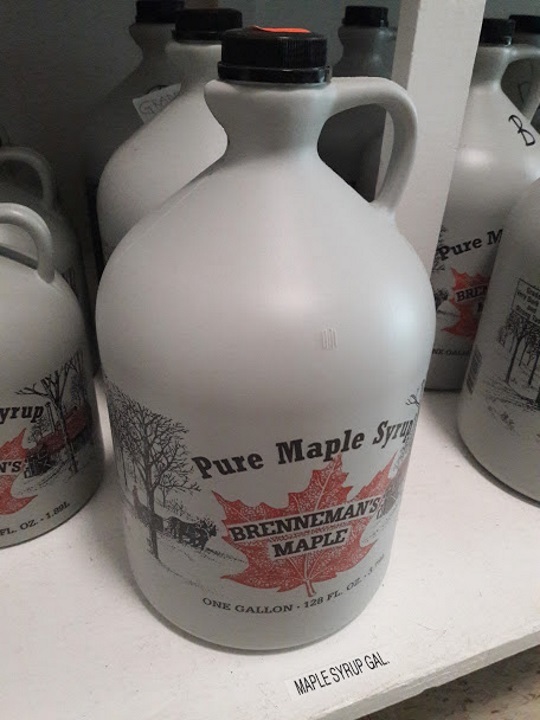 On first glance I figured this must come from Geauga County, Ohio, one Amish community where I found maple syrup to be something of a big deal. 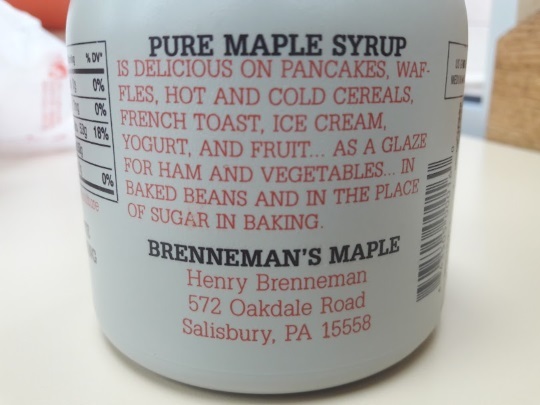 But this syrup is actually from Salisbury, PA, which is the area of the unusual Somerset County Amish settlement. I picked up a pint to take home. 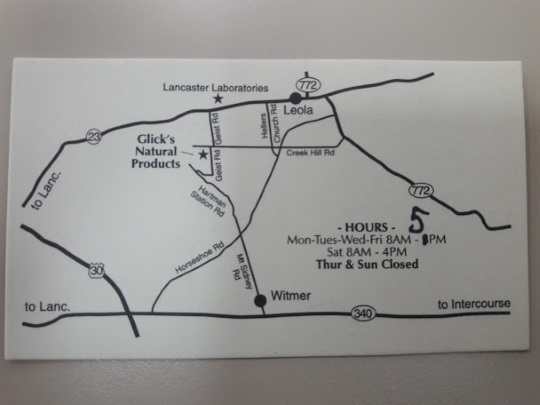 I first came across Glick’s over a decade ago when selling books in Lancaster County, but hadn’t been back since. Nice to see it continuing strong in the community. 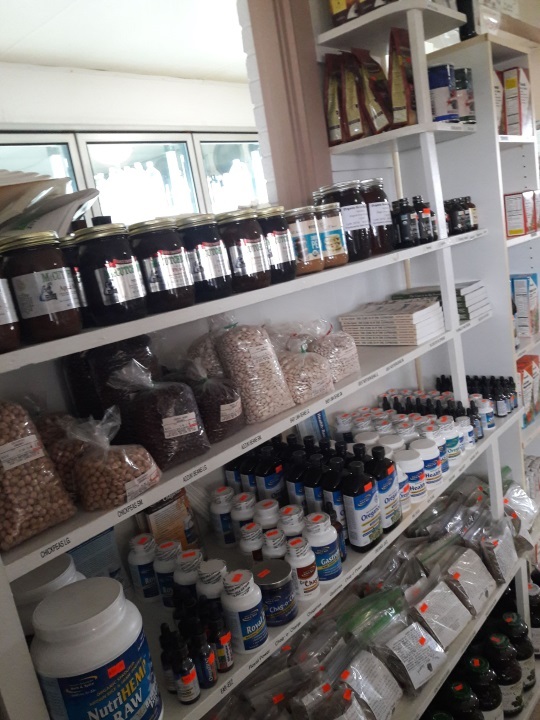 With many Amish safely described as “health-conscious” and with a particular interest in natural remedies, this business has a solid clientele among Plain people. Amish people on the whole adhere to both conventional and unconventional health practices. Non-Amish shop here as well, evidenced by the small lot for cars (there was one other vehicle there when I arrived, and several Amish customers in the store). The organic food trend among the Amish no doubt helps drive interest in this store, and this was reflected in the array of organic products available, including coffee and pretzels. It’s not only consumables for sale at Glick’s. 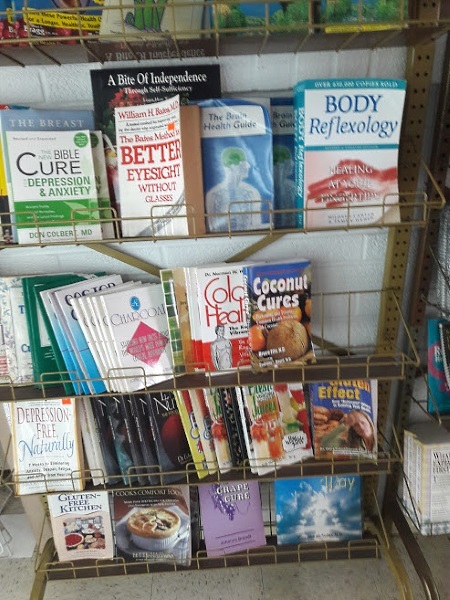 Here’s the book selection, in the back near the dairy section. There is also something for your head by the door. 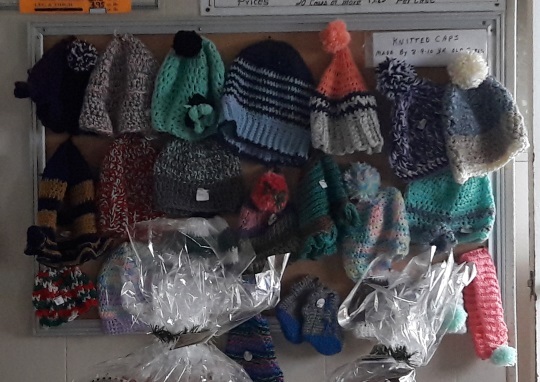 The sign says these knitted caps were “made by 8-9-10 yr old girls”. Not bad! What a very cool visit inside Glicks. 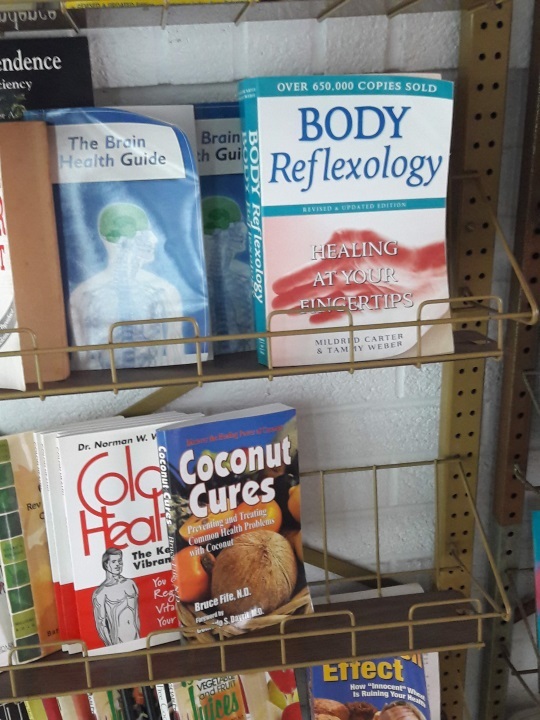 I’d really like to have that Body Reflexology book myself. Lol. I’m always a sucker for a health food store.. I wouldn’t have left there empty-handed. Going by people’s comments on the AA FB page, it seems the Dandy Blend is quite tasty, might need to swing back by for that. 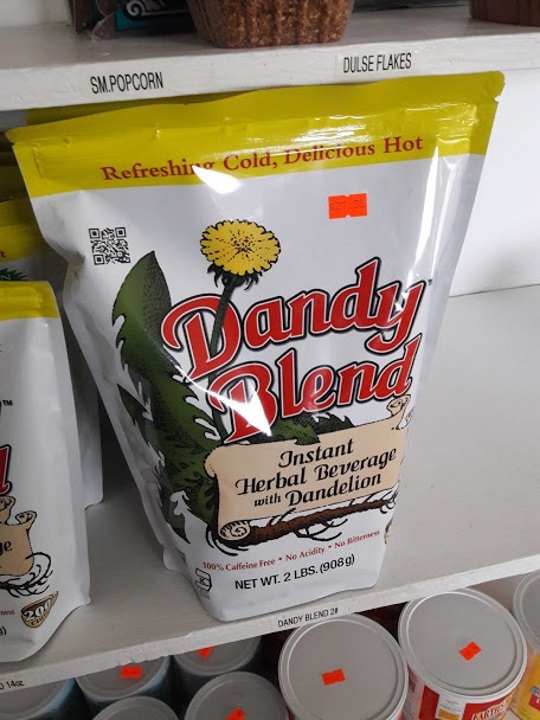 Yes, if you like coffee, you’ll probably like Dandy Blend. I keep it around when coffee starts becoming too acidic for me. Dandelion has a little bit if a stimulating action, much like caffeine, but not as strong. Great stuff. I love it..
I’ve visited similar Amish run stores in Pennsylvania, Ohio, Michigan and Indiana. They all have wide supply of cure-alls, panaceas, and other nostrums that lack evidence of effectiveness. It’s a shame to see manufacturers taking advantage of communities that are famously uneducated in science or in the methods of critical thinking. To be sure, many of us English are similarly ignorant. Funny thing that… Science has come along and proven true so very many of the potions of famously uneducated communities. In the area I was born and raised in it was Mexican/Indian Healers/Witches… Not much different than the Amish in many ways. Ignorance has many facets as does healing and miracles. Such a shame. Amish are willing to travel far for alternative medicine and procedures, sometimes outside of the country. I saw an ad recently for a Tijuana-based doctor in a publication read widely by Plain people. Medical trips south of the border are not uncommon. Thanks for sharing! Looks like a fun store to visit! My pleasure Tim, always love visiting Amish stores. I’ll be visiting a community in New York tomorrow and hope to make a couple more stops. Do Amish use elderberry syrup for cough, cold flu symptoms? If so do they make elderberry syrup at home? I believe they do Gerald. I will ask my friends and let you know if I find out more. We have literally dozens of different Amish stores up in the Green Lake and surrounding counties. 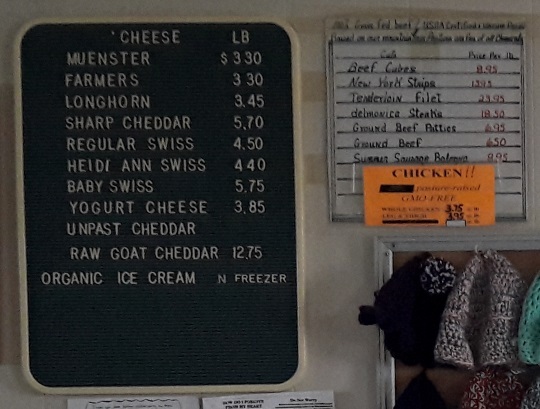 The most famous, and probably the largest of which is, Mishler’s Country Store. 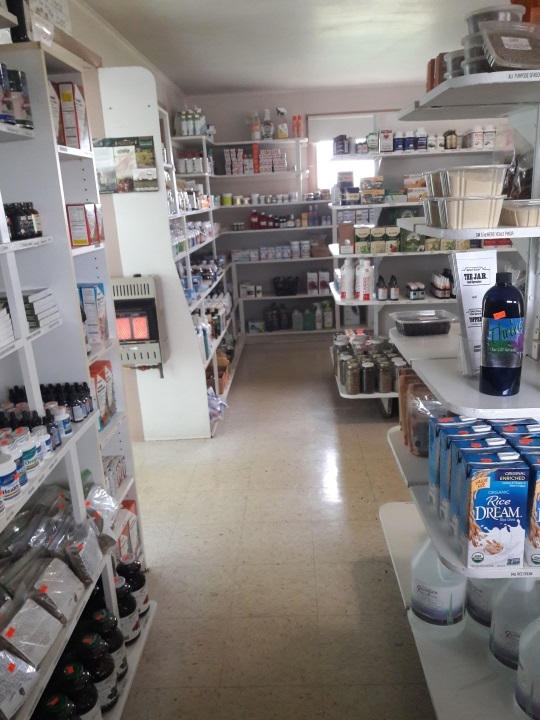 Besides the bulk food, fresh produce and regular food offerings, is an Amish natural remedy section. The most peculiar thing about this store is the clientele: they are mostly English…probably in the range of 5 to 1. 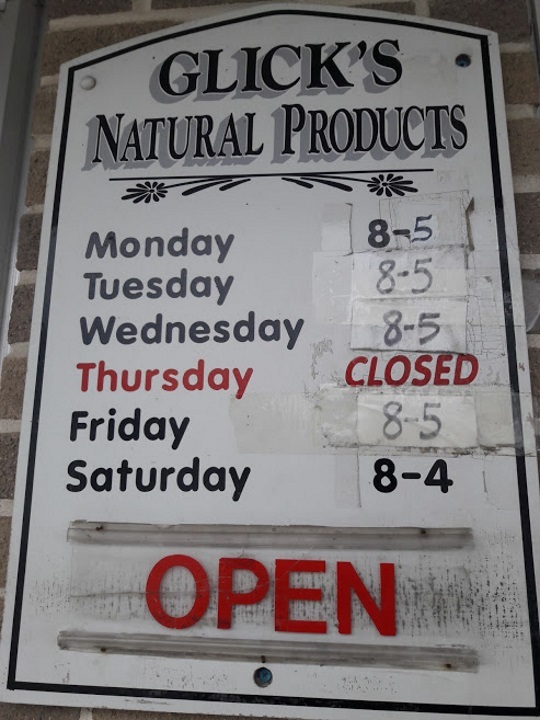 There are many Amish who carry on businesses from buildings adjacent to their homes, and one wouldn’t know about them because they usually don’t have signs advertising that they’re there. When I’m up north, I always do ost of my shopping at my Amish friends’ stores. Ken it is interesting that some of these stores are heavily Amish and I even feel a bit out of place at times going in, while others are a mix, and still others like you describe Mishlers are getting mainly English clientele. I guess they develop in different directions as far as their customer bases go depending on things like location, the owners and the group they belong to, and naturally how much they advertise and market to non-Amish. But some stores definitely have a “preferably Amish” feel to the point that you don’t feel super welcome. Glick’s was not one of those for me.